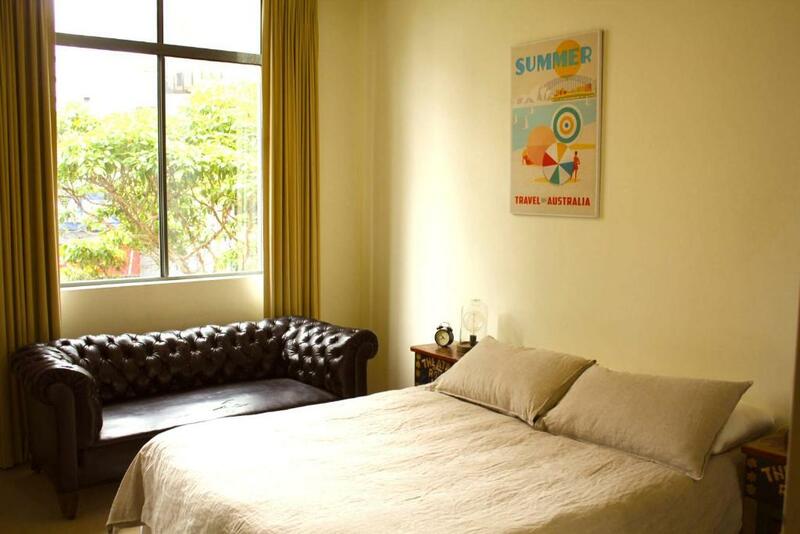 Surry Hills Warehouse Apartment is a chic, 75sqm, 1-bedroom apartment located in the trendy Sydney suburb of Surry Hills, only yards from great bars, cafes and restaurants on Oxford Street. The spacious, classy apartment has hand-made furniture and features a fully equipped kitchen with a dishwasher and an oven. There is a laundry and a TV with cable channels. Darling Harbor Sydney is 0.9 mi from Surry Hills Warehouse Apartment, while Allianz Stadium is 0.9 mi away. Kingsford Smith Airport is 4.3 mi from the property. When would you like to stay at Surry Hills Warehouse Apartment? A chic 78sqm one-bedroom apartment located in Sydney’s trendiest neighbourhood, only metres from the great bars, cafes and restaurants on Oxford Street. You are walking distance from everything Sydney has to offer. Enjoy the comforts of this rustic 70sqm apartment that boasts spacious, classy living. The apartment is very stylish and located in the best location in Sydney! You are in the city's most exciting neighbourhood. So you are spoilt for choice when it comes to cafes, restaurants and Sydney's best bars. 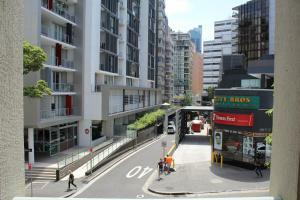 You are in short walking distance to the city of Sydney's favourite destinations. 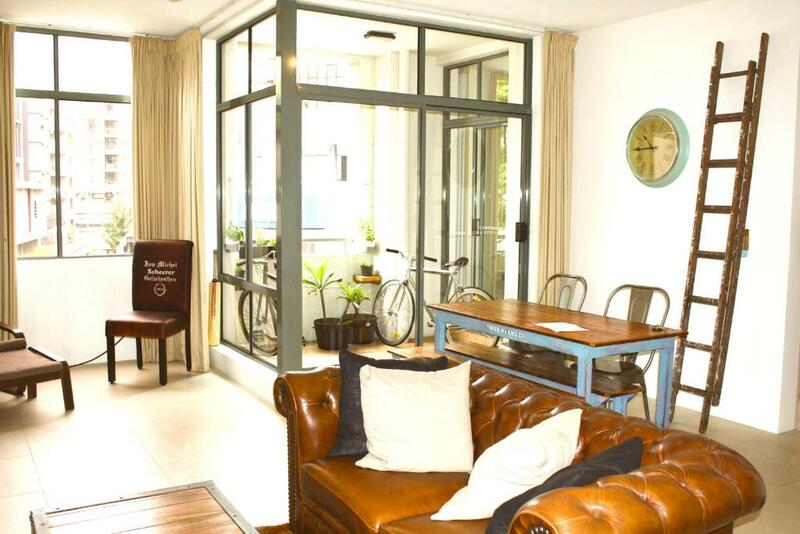 Located right on the border of the trendy Surry Hills and Darlinghurst. 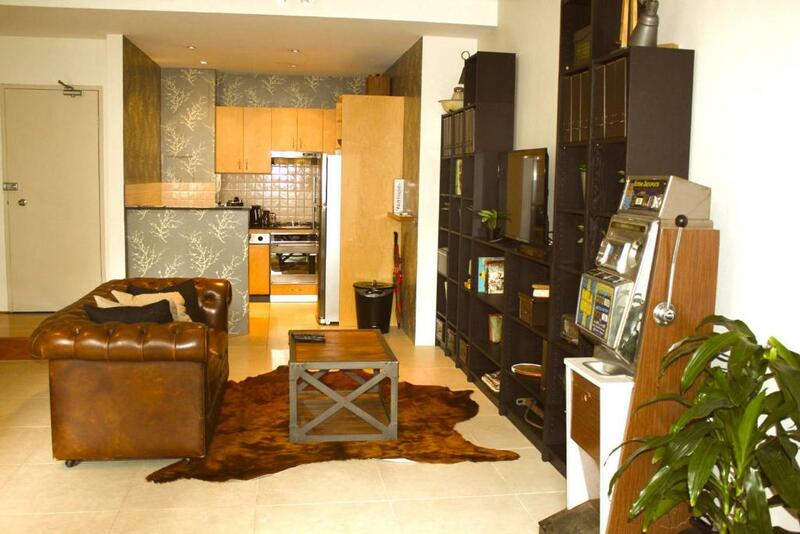 Enjoy the comforts of this modern 70sqm apartment that boasts spacious and timeless living. 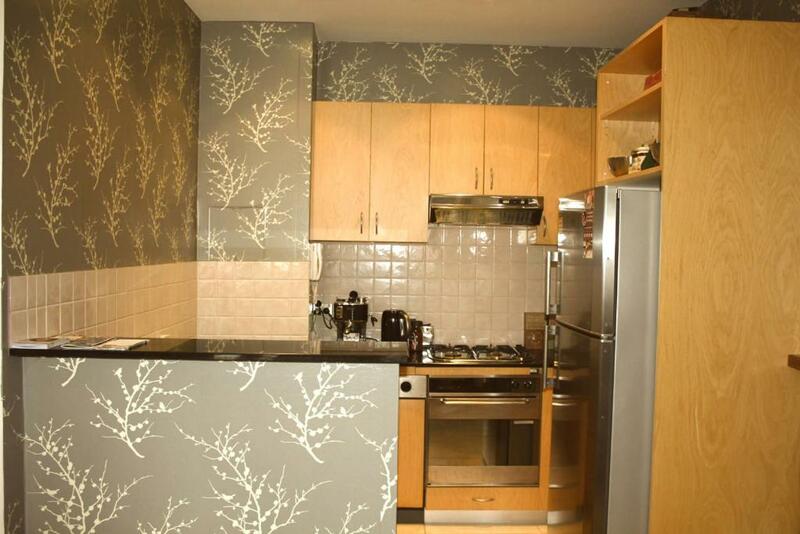 This apartment has just been furnished with the best new and old everything. The furniture is hand-made of hundred year old wood from my uncle Karl's workshop. The place is decorated with antique items- from the early 1900s film camera; 1950s magazines and books; to a 1960s poker machine and chesterfield couch. The apartment comes with; 2 Lekker Amsterdam style bikes (with helmets and locks) to get yourself around the city Cable TV Wifi Breakfast cereals Herbs, spices, olive oil DeLonghi coffee machine, teas Kettle Toaster Microwave Blanco gas kitchen with stone benches Pots/pans, plates, cutlery, wine glasses, mugs and glasses Shampoo, conditioner and body wash Sheraton towels and bed linen Hair dryer Clothes washing detergent Clothes Washer/Dryer Sliding doors to private balcony with views Intercom and lift access This apartment has everything you need to make your stay in Sydney as comfortable and perfect as possible. From the airport the apartment is a 25 minute cab ride or a 15 minute train ride. You are a 5 minute walk from Museum trains station which is on the Sydney Airport Railway line. Check in is anytime after 3:00pm. Check out is before 10:00am. Surry Hills and Darlinghurst are decidedly cool. There’s an energy pulsating from cafes, bars, street art and galleries. Explore the concept stores of Liverpool Street or chill out in famous Victoria Street eateries. 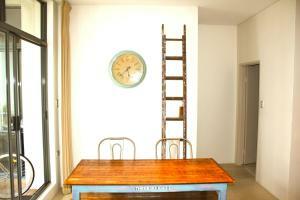 House Rules Surry Hills Warehouse Apartment takes special requests – add in the next step! A AUD400 damage deposit is required 14 days before arrival (about USD287.22). This deposit will be fully refunded 7 days after check-out, as long as there isn't any damage to the property. Debit card Surry Hills Warehouse Apartment accepts these cards and reserves the right to temporarily hold an amount prior to arrival. Surry Hills Warehouse Apartment accepts these cards and reserves the right to temporarily hold an amount prior to arrival. 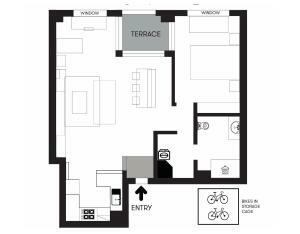 Please note that the property requires payment to be made via bank transfer or PayPal. You can pay via credit card when the property send you the PayPal link. Please note that an additional $75 cleaning fee will be added to your booking. No visitors are allowed on the premises. Please register all guests with the property in advance. You can use the Special Requests box when booking. Please keep noise to a minimum after 22:00 on weekdays and 23:00 on the weekend. 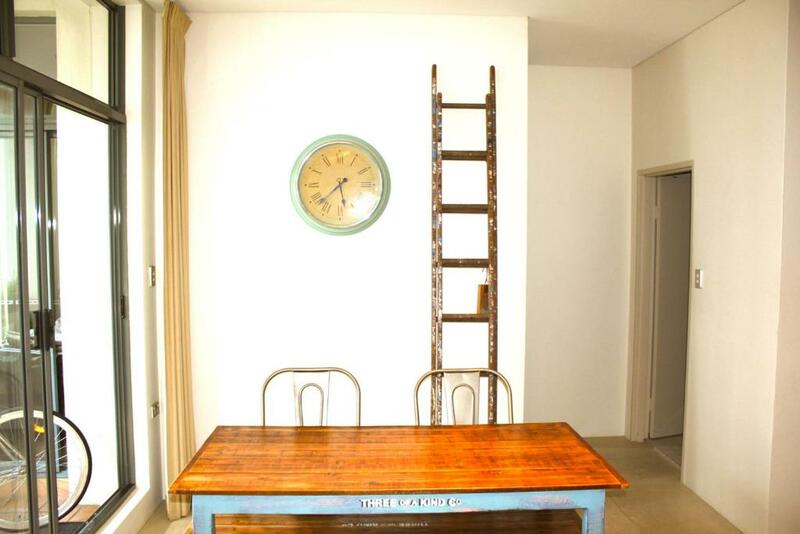 Please inform Surry Hills Warehouse Apartment of your expected arrival time in advance. You can use the Special Requests box when booking, or contact the property directly using the contact details in your confirmation. A damage deposit of AUD 400 is required. The host charges this 14 days before arrival. That's about 287.22USD. This will be collected by credit card. You should be reimbursed within 7 days of check-out. Your deposit will be refunded in full by credit card, subject to an inspection of the property. We need at least 5 reviews before we can calculate a review score. 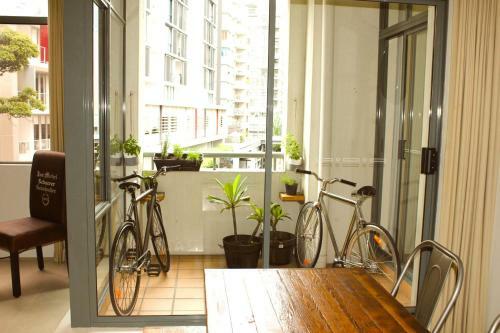 If you book and review your stay, you can help Surry Hills Warehouse Apartment meet this goal. There are roaches in the kitchen, rather disgusting, must do something like fumigation etc. Nice nostalgic decor such as old slot machine and sofa and ladder, love it!